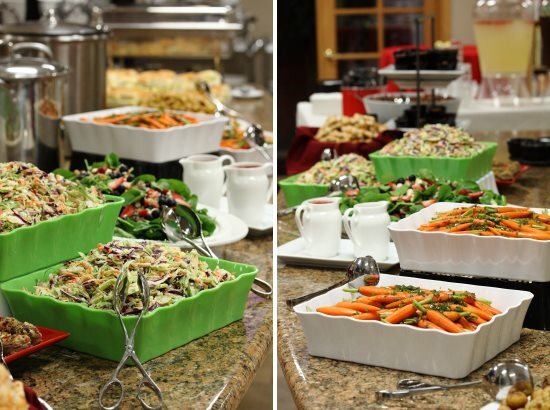 Peter Piper picked a peck of pickled peppers… or better yet, Melissa’s Produce picked a pound of peppers and presented a plethora of Pinterest-worthy pepper preparations. 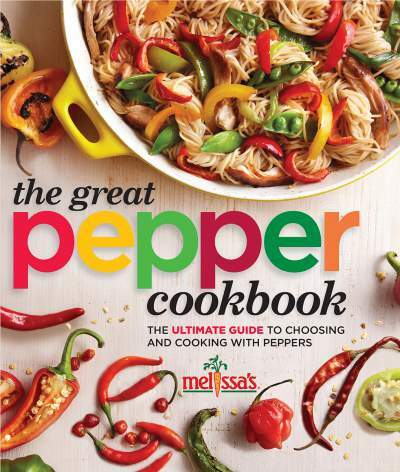 If that tongue twister didn’t tickle your tongue, then the recipes in Melissa’s new cookbook, The Great Pepper Cookbook (2014; Oxmoor House, $29.95) will. It is packed full of information about all kinds of peppers from the mild bell to the unbelievably hot scorpion. Lucky you, I’m giving one signed copy away! You can enter via the widget below. Melissa’s invited me and several others to their headquarters to get a taste of what’s inside this cookbook. While there, we received signed copies of the book and I procured a second one signed by the chefs for one of my lucky readers! 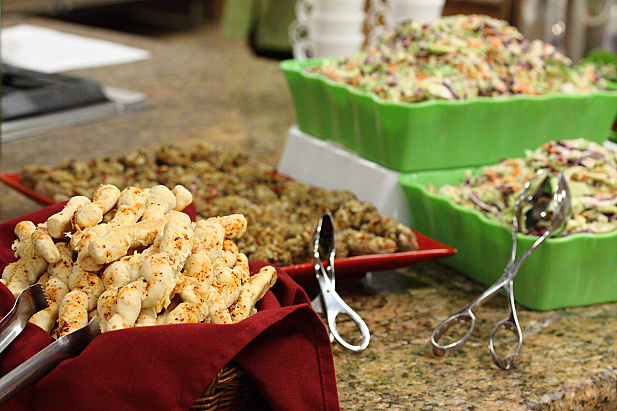 We tried many different recipes and all were delicious. I couldn’t wait to get home to try out some more peppery recipes from their collection. 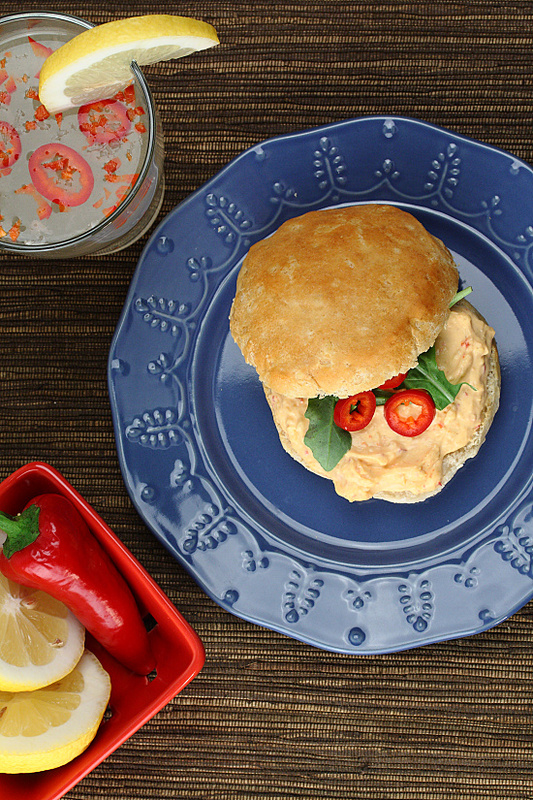 These Pimento Cheese Biscuit Sandwiches were my first to try on the list and they are bomb. 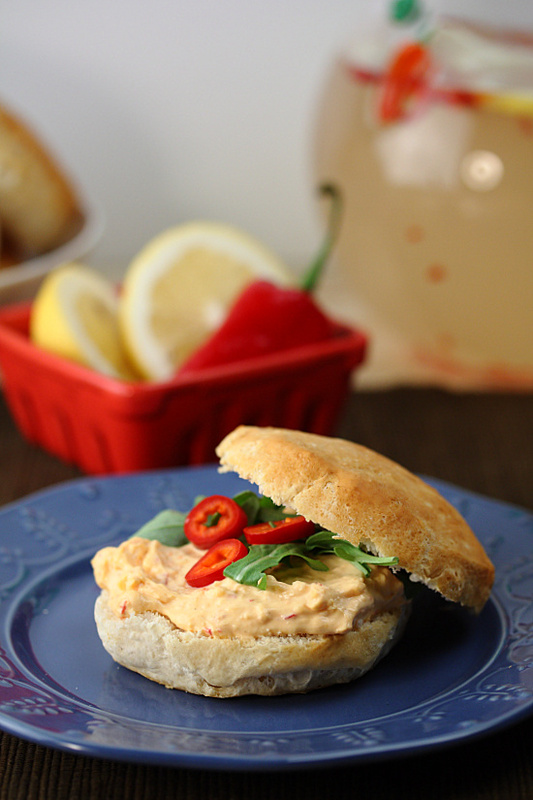 I love pimento cheese anyway, but this recipe seems to have an extra punch of flavor and is now a new favorite in our house. I paired them with Melissa’s Red Hot Lemonade for a cool touch with a kick. 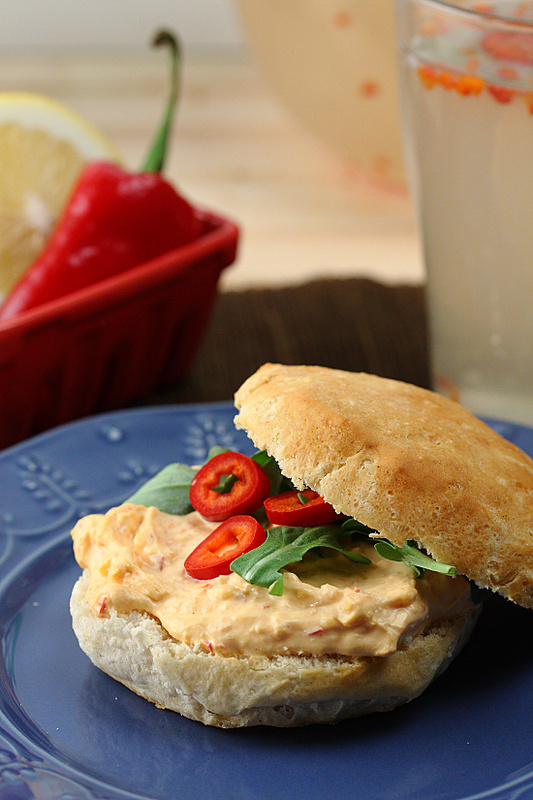 Read below for the recipe for Pimento Cheese Biscuit Sandwiches. Did you know that peppers are super good for you? They are full of antioxidants and just one cup of peppers can provide 100% of your daily Vitamins A & C. They come in a rainbow of colors and add tons of flavor to an otherwise bland dish. And, did you also know that peppers, like tomatoes, are actually a fruit? Who knew those barrels of salsa you’ve been dipping your chips into are actually just chopped up fruit salad? Melissa’s Produce has created this cookbook to show the versatility of these gorgeous little beauties with a focus on flavor rather than heat. That’s not to say there aren’t some spicy recipes in the book for you heat-lovers; there are! Recipes range from drinks to desserts and everything in between. They’ve even included a TON of information about all the different kinds of peppers out there and how to use them. Want your own copy of this HOT book? One winner will receive a copy of The Great Pepper Cookbook signed by the chefs. Must be a U.S. resident 18 or older to enter with a valid U.S. mailing address. Winner will be notified by email and must respond with mailing address within 48 hours. The more you enter, the better your chances. Good luck! Bake biscuits according to package directions; cool to room temperature. 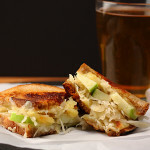 Place cheeses and next 5 ingredients (through shallot) in a food processor or blender, pulse to combine. Cut biscuits in half. 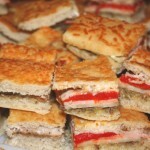 Top biscuit bottoms evenly with cheese mixture and watercress and sliced chiles if desired. Top with biscuit tops. Serve. NOTE: You can make the pimento cheese up to three days in advance and store in the refrigerator. My favorite pepper is the Hatch Chile. Gorgeous photos, Barbara! 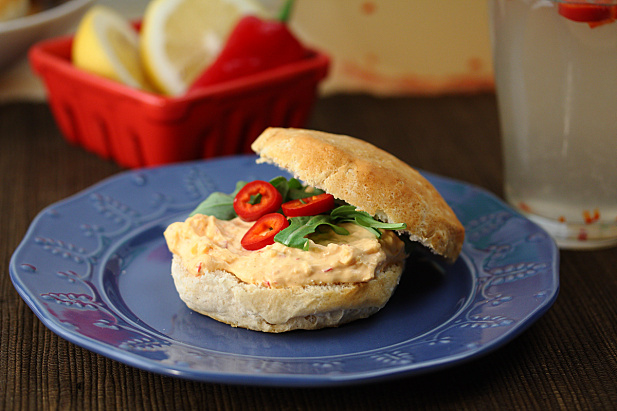 I made the pimento cheese sandwiches myself and they were absolutely delicious, yum! I love bell peppers, especially red and orange ones!! I love italian sweet peppers, I get them from the Farmer’s Market in the fall. 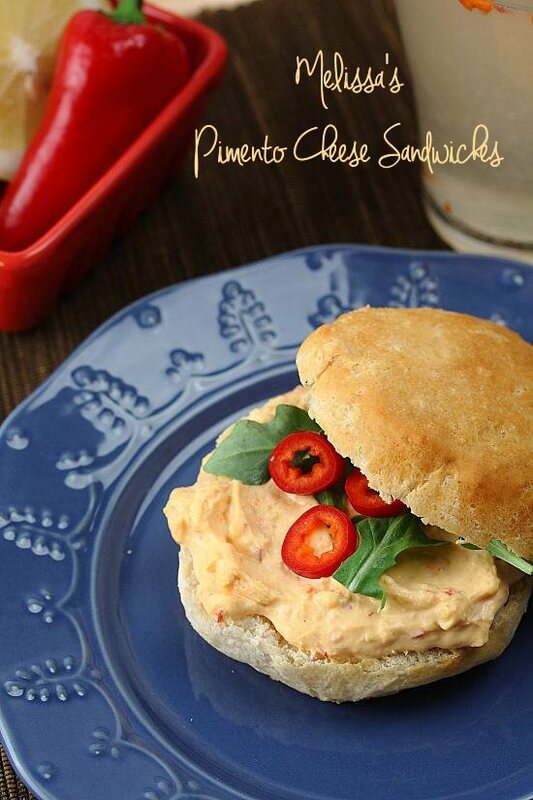 Aww, this reminds me of my granny – she loved Pimento Cheese! I haven’t had it since we used to go visit her over ten years ago – I’ll have to give it a try! Kimmie, it’s nostalgic for me too. We always had it when I was young so tasting this was like going back in time. So I just had pimento cheese for the first time this year, and I LOVED it. This version looks super tasty! Brandon, this version is super good because of the peppers used. 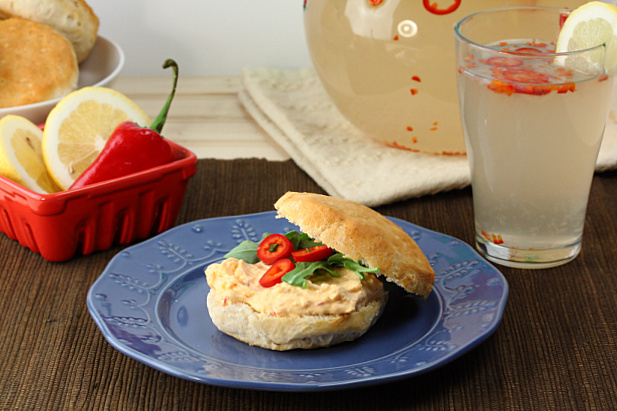 You could even kick up the heat a little if you want by using a spicier pepper. 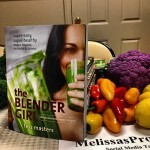 Melissa’s new cookbook will show you how! 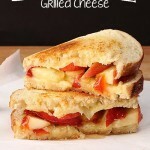 I could eat this sandwich right now! Looks so good and I wish I could have made it to that Melissa’s event. Looked beautiful. 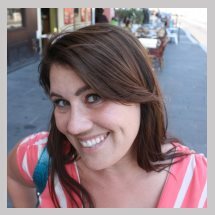 Liz, hopefully you can make it to their next event!